Among the most important activities of the Canadian Society of Forensic Science is recognizing achievement and commitment in the field of forensic science. Each year the Society offers prestigious awards to deserving individuals who have made an impact in the profession or members who have contributed their time and knowledge to the CSFS. Please see below for descriptions of the awards and how to apply. The Derome Award is the Society’s most prestigious award. It was first established in 1991. The award was created in honour of Dr. Wilfrid Derome who was a pioneer in forensic science. In 1910, Dr. Derome was appointed Professor of Legal Medicine and Toxicology at the University of Montreal and became head of the Laboratory of Notre Dame Hospital. In July 1914, Dr. Derome founded the first governmental forensic science laboratory in North America in Montreal, Quebec, Canada, now called the Laboratoire des Sciences Judiciaires et de Médecine Légale. He acted as the Director of the lab until his death in 1931. 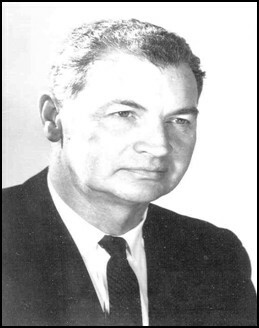 He testified as a Medical Expert and a Ballistic Expert to the Crown in many legal cases during his career and was the first to testify in many fields. In 1922, he became the first Expert in North America to testify in front of the Court on the determination of ethyl alcohol in the blood. In 1926, Dr. Derome invented the microspherometer which can reveal the marks left on the surface of bullets fired from a firearm for the purpose of identification and allowed the presentation of scientific evidence in Court for the first time in ballistics. In 1929, the Montreal laboratory was visited by J. Edgar Hoover, from the FBI, in order to plan the foundation of the FBI laboratory. A Derome Award Recipient is a member of the Society in good standing who has advanced forensic science through outstanding leadership and/or by developing new techniques or principles which have gained widespread use in the profession. To be eligible for the Derome Award, suggestions or nominations must be sent to the attention of the CSFS Awards Committee at csfs @ bellnet.ca. 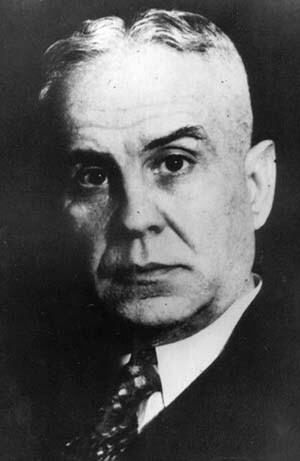 Although best known for his work in the development of methods for the analysis of alcohol in body fluids and breath, and as Director of the Centre of Forensic Sciences for the Province of Ontario, Dr. H. Ward Smith also contributed significantly to the body of knowledge about alcohol and traffic, and the detection of drugs and poisons. Perhaps his most important contribution was his recruitment, training, and encouragement of an entire generation of young forensic scientists in Canada. 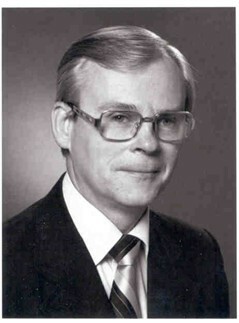 The purpose of the H. Ward Smith Award is to commemorate the contribution to forensic science in Canada of the late Dr. H. Ward Smith by providing travel assistance to members of the Canadian Society of Forensic Science to participate in the scientific programs of the International Association of Forensic Sciences. To achieve this, H. Ward Smith Fund was established, and the interest earned by the Fund may be awarded to the author of the best paper or papers worthy of presentation at any international meeting as judged by the Awards Committee. Since this award relates to a paper to be presented at the IAFS meeting, the deadline for submission shall be set by the Chair of the Awards Committee. The H. Ward Smith Awards is conditional on acceptance of the paper by the IAFS. A candidate’s paper must be previously unpublished and shall consist of a report of original research. The principal author shall be the recipient of the award and must be a Canadian citizen or a member of the CSFS. The winning author must present the paper personally at the IAFS meeting. The Lucas Award is named after Doug Lucas MSc, Dsc (Hon), a former Director of the Centre of Forensic Sciences in Toronto. Doug retired in 1994 following 37 years of service, 27 as the Centre’s Director. His scientific background was in Toxicology and Chemistry with particular emphasis on alcohol, fire investigation and explosives. He has published over 30 papers and chapters on a variety of forensic science topics. Doug also has been active with several professional associations and is a past president of the Canadian Society of Forensic Sciences, the American Academy of Forensic Sciences, the International Association of Forensic Sciences, and the American Society of Crime Laboratory Directors (ASCLD). With ASCLD, he was involved in the development of an international forensic proficiency testing program in the late 1970s and with the establishment of the ASCLD/LAB accreditation program in 1982. Post-retirement, Doug has continued his association with the proficiency testing program as an advisor and has served as a consultant internationally to forensic laboratories, primarily with respect to management and/or quality assurance issues. This included serving on a five member international “Blue Ribbon Scientific Panel” in support of an eighteen month investigation by the Office of the Inspector General in the US Department of Justice of allegations of misconduct and improper practices by staff of the FBI Laboratory. From December 1998 to December 2003, another major activity involved serving as a member of a three person international “Peer Review Panel” advising the Judicial Tribunal for the “Bloody Sunday Inquiry” into the tragic events of January 30, 1972 in Londonderry, Northern Ireland in which thirteen civilians were killed and fourteen seriously wounded by gunshots during a confrontation with the British army. Since 2003 a Doug has been associated with a major investigation by the Northern Ireland Police Service, the Omagh Bombing of August 1998 in which 29 people were killed by an IRA bomb. Since January of 2005, Doug has been serving as a scientific advisor to the Independent Investigator examining serious problems in the Houston Police Department Crime Laboratory and Property Room. The Lucas Award is intended to recognize respected members who have served the Society and a field of forensic science. Ms. Rita Charlebois was hired as a forensic toxicologist in 1956 and was the only women on staff at the Centre of Forensic Sciences in Toronto and the second in Ontario to work in the field. She quickly became a top alcohol expert regularly providing expert witness testimony. In 1975 she became the first woman president of the Canadian Society of Forensic Science. The Rita Charlebois Award is intended to provide financial assistance to a deserving candidate(s) to attend Scientific Meetings. Scientists and others engaged in the field of forensic alcohol and/or other drug examination, including analyses, metabolism, effects, interpretation, and interrelationships with other substances are eligible to apply. Other investigators whose work is deemed to be sufficiently relevant to the broad field of forensic toxicology (such as alcohol or other drug effects on driving or piloting vehicles), may also be considered for this award. Presentation of a scientific paper is not a requirement. This Award consists of a printed certificate suitably inscribed with the specific action or contribution for which it is presented. The primary purpose of this Award is to recognize publicly, to thank and to appreciate any persons who have worked “beyond the call of duty” for the benefit of the Society. The Distinguished Service Award recognizes members who have given freely of their time and talents to the Society over a period of several years. The purpose of the Memorial Award is to posthumously commemorate the contributions to forensic science in Canada of Society members who have passed away. This is done by providing travel assistance to current members of the Society to participate in the scientific programs at the annual meetings of the CSFS. To promote the field of forensic science, the Canadian Society of Forensic Science offers an annual Award valued at up to $700.00 to a deserving university undergraduate or graduate student who is pursuing training in one of the areas of forensic science. Application forms are available from the Canadian Society of Forensic Science Office, and must be received by April 1st of each year.